The British Empire & Foreign Countries auction held on March 7th and 8th, first sale of the GROSVENOR SPRING 2012 series of auctions, was one of the company’s most successful ever, achieving a total of £1,035,008, a figure over 40% above the pre-sale estimate. Gratifyingly the strong results were spread over a number of specialised country sections providing a comprehensive confirmation of the strength of the market, particularly for British Empire. It is difficult to select from amongst the many highlights but the highest realisation in the sale, the £67,860 paid for the collection of Canadian Pre-Cancels formed by the late Rev. David Izzett (lot 321) certainly justified the decision to present as a single lot. India is enjoying a very special period of high realisations and auction results have become very difficult to predict. 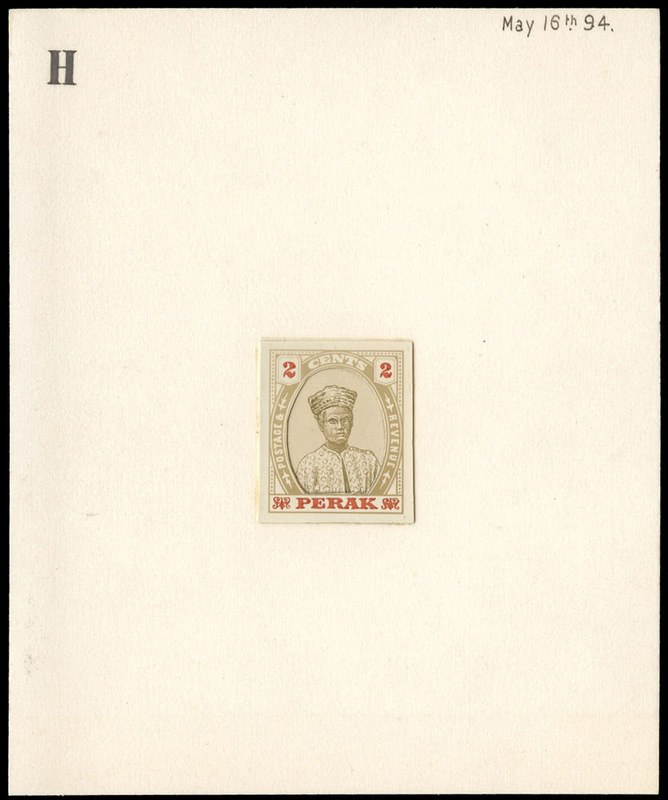 The most exceptional example of this was the £24,570 paid for lot 605, a registered postcard from the 1911 Allahabad first aerial post (pictured) and £6,084 for an example of the 1948 Gandhi 11/2a. used on O.H.M.S. envelope (lot 600). The strong following enjoyed by the Key Plate stamps, both large and small, and their varieties continues. There was a deservedly enthusiastic response to the section of the sale devoted to the J.A.C. Farmer collection of Leeward Islands resulting in an overall result over 50% above expectation. Among the rarities of the 1897 Diamond Jubilee issue £3,492 was paid for the 5s. with overprint double (lot 713, featured on the front cover of the catalogue) and £5,418 for the 1d. 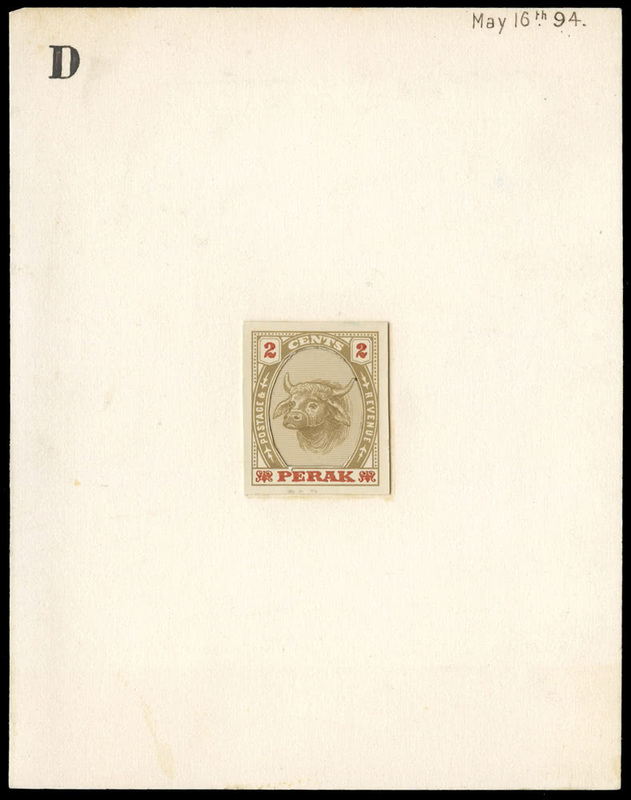 with overprint triple (lot 706 pictured). The unique plate number examples of the 1951 £1 with watermark sideways (lot 801) and watermark inverted (lot 802) achieved £5,779 and £5,418 respectively. The ‘Napoleon’ Collection of Saint Helena Postal History and Covers contained much historical interest and was rewarded by many very pleasing results. The 1816 entire written by Lt. George Dunlop en route to the island to form part of the guard for the Emperor Napoleon and showing the rare “PORT BRITISH” marking (lot 1248) rose to an impressive £2,649. The exceptional collection of New Zealand ‘Adsons’ (19th century stamps with printed advertisements on the reverse) formed by brothers Charles and Francis Kiddle generated much interest. Results here were a little patchier but notable prices included £4,816 paid for the block of 54 of S.G. 219f (lot 1108, pictured), this being the largest mint block known. Malaya & States featured the Anthony Winner Collection and a proven market again showed its strength. 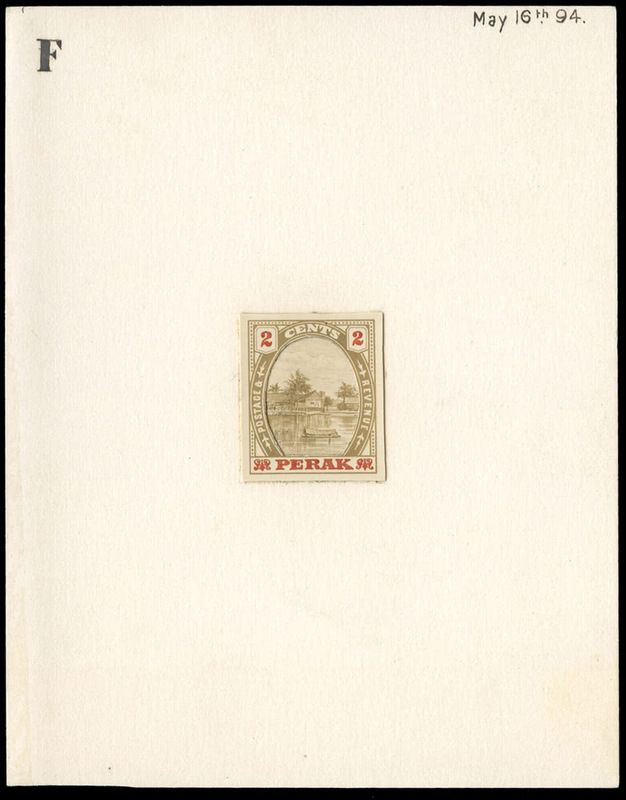 Top price in this section was £2,574 paid three times in succession for lots 970, 971 and 972, these being three attractive but unadopted Perak essays from 1894. The ‘Warren’ collection of South Africa featured a number of exceptional items and specialised studies. 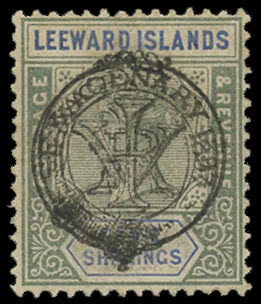 Among these was a doubly printed example of the 1913-24 1/2d. (lot 1436, pictured) that achieved £2,925 and a die proof of the 10s. value that surprised at £1,053. Top price paid in an unusual section of British Levant that included many rare “SPECIMEN” multiples was £10,836, this for the unique strip of five of the 1893 Constantinople Provisional 40 pa. on 1/2d., (pictured), the only mint multiple in private hands. China prices would appear to be levelling off whilst Foreign Countries in general can sometimes be left in the shade by British Empire successes. Buyers can always be found for interesting country collections, however, as the results for balance lots of France (lot 450, £16,254), Italian States (lot 623, £12,870) and Spain (lot 1526, £17,458) proved once more. This was also shown in the results for the Wheldon family collection of Germany, including lot 514, a collection of the ‘Empire’ period, which achieved £3,010. The next sales of the season will be those devoted to Specialised Great Britain on April 25th and 26th which is followed by a special auction of the Jim Mullett collection of British Overseas Islands on the afternoon of the 26th. Complimentary copies of these catalogues will be available on request.